The tigress, who was believed to have turned man-eater and killed 13 people in the last two years in Yavatmal district's Pandharkawda area, was shot dead in Borati forest last Friday. Union Minister Nitin Gadkari Friday backed his party colleague and Maharashtra Forest Minister Sudhir Mungantiwar on the killing of tigress Avni. The Maharashtra government, however, defended itself with Mr Mungantiwar, earlier, calling the incident "sad" but necessary after the tigress attacked forest staff trying to tranquilise it. 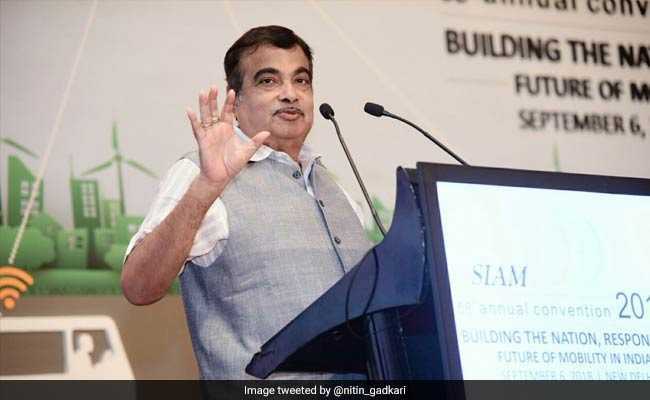 Speaking on the sidelines of Indian Roads Congress convention, Mr Gadkari said, "The tigress had killed 13 innocent farmers and no one is shedding a tear for them. No one wants to kill a tiger but what can be done when the tiger turns man-eater." He said the Forest department, under Mr Mungantiwar, ordered the killing of the tigress only as a "last option".